‘What do YOU see?’ was the question my daughter Beth excitedly asked me, emphasizing the ‘you’. She was visiting us from Germany for my 80th birthday and she was referring to a story on the internet that had gone viral. The story began just before a wedding that was being held in Scotland. The mother of the bride sent a picture to her daughter asking what she thought of her dress. It turns out that the bride and the groom looked at the image and each saw different colors. One saw the dress as white and gold. The other saw it as blue and black. They posted it online, asking their friends to settle the argument. Their friends also couldn’t agree and the image went viral, setting the Internet alight initially being viewed over 24 million times. So the question my daughter asked me was, ‘What do you see?’ I went to my iMac and pulled up the image of the dress, showing it to my wife Dorothy. Beth and I saw it as white and gold, however Dorothy immediately saw it as blue and black. 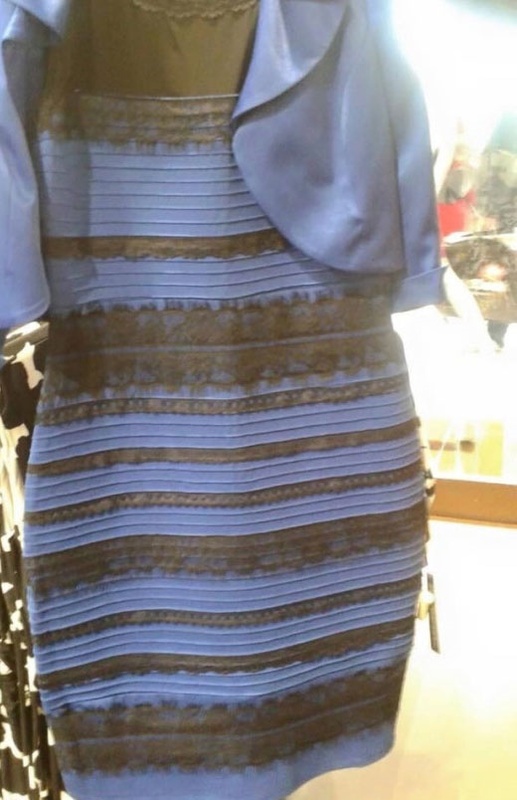 There are scientific reasons for why each person sees it differently, although I understand in reality the dress is actually blue and black. WHAT DO YOU ‘SEE’ LORD? Now, I can’t say I have always been able to do that but that is my heart desire and one of the reasons for the Langstaff Letters. I want to share the vision of what I sense God sees. You see, many times, we look at things from our personal position, or our church and ministry, or our area, state or even our nation, but God wants to lift us up so that we might see things form His perspective. I encourage you to do just that. Ask God to show you what He sees, to get revelation that comes from Him. We often quote Proverbs 29:18 which states, ‘Where there is no progressive vision (or revelation), the people go astray (or cast off restraints).’ But it needs to be God’s vision, not yours. We need to be seeking the Lord as to His vision for our ministry. What are His plans? What does He want to see happen? We need a revelation from Him. Just recently, I was at a small pastor’s gathering where a vision was shared of God bringing revival down the Minnesota River Valley. A vision that I witnessed to and I believe our church can be a part of, as we are in Chaska, directly north of the Minnesota River. We need to seek Him for our part in it all. WHAT DO YOU ‘SEE’ IN GOD’S WORD? Psalm 119:18 declares, ‘Open my eyes that I may see wonderful things from Your law.’ As a young Christian, I was introduced to an organization called Scripture Union, which encouraged Christians to read, study and meditate on the Bible every day. Psalm 119:18 was our prayer before we were to read the daily portion of scripture. I am amazed that, even though I have been a Christian for over 60 years, and in ministry for over 50 years, I still can find fresh revelation out of God’s word. Like a gold mine, there is always more to dig into, finding treasures in God’s word. What do you see in God’s word? When we read God’s word, we need the Holy Spirit to bring us revelation, so we can begin to see what God sees for us in His word. This can apply in so many areas of our lives, when we are not just to look at our circumstances, but at the spiritual reality that is at work. We need to see things as God sees them, as His will is revealed in His word. Circumstances are real, but the word of God is the truth over them. We need to see the truth of God’s word in the midst of life, no matter how troubling it may be. See things as God sees them. WHAT TO YOU ‘SEE’ FOR AMERICA NOW? There was a time when Jesus wept over Jerusalem. He saw the city but He also saw its future destruction. He said, ‘If you had known, even you, especially in this day, the things that make for peace. But now, they are hidden from your eyes.’ In other words, they could not see beyond the natural, the here and now, because, as Jesus said, ‘You did not know the time of your visitation.’ Jesus prophesied the destruction of Jerusalem that came about 40 years later. Sometimes I wonder if Christians in America are failing to see the seriousness of the hour in which we live and the need to earnestly pray for revival to come to this land. We need to be asking the Lord to show us what He sees coming for America, not just what the politicians and commentators declare. We need to see America as God sees it.